“Due to the multiple benefits of anaerobic digestion, it is already the preferred method of recycling food waste for a number of businesses, industries, institutions and cities and is the focus of the report we released 16 May”, he said. Anaerobic digestion is a technology that enables renewable energy generation such as biogas, as well as nutrient recovery and building of soil organic matter, which is essential for mitigating climate change and sustainable agriculture, Newman explained. A co-product of the anaerobic digestion process is a material called ‘digestate’, which contains water, nutrients and organic carbon suitable for soils. Digestate is the remaining part of the material fed into the digester once the gas is extracted. The digestate may be used as a bio-fertiliser. For every tonne of feedstock entering an anaerobic digestion plant, between 900 to 950 kg of digestate is produced, Newman explained, adding that digestate is rich in available nutrients and of significant value as a soil amendment for agricultural land, city landscaping and urban gardening. A tonne of composted digestate may contain up to 70% organic matter, of which of 5% may be nitrogen, phosphorus and potassium, essential substances needed to grow crops. Depending on the consistency and the end use of digestate, it can be used either as a final product or further treated into higher value agricultural products. The potential of food waste management for agriculture is immense, continued David Newman. “Every year, 1.6 billion tonnes of food is lost and wasted globally”, he stressed. But food waste management is also closely linked to sustainable development and can contribute to reducing greenhouse gases, he continued. Food production accounts for 11% of global greenhouse gases emissions, rising to 30% when food distribution and land used are taken into account. 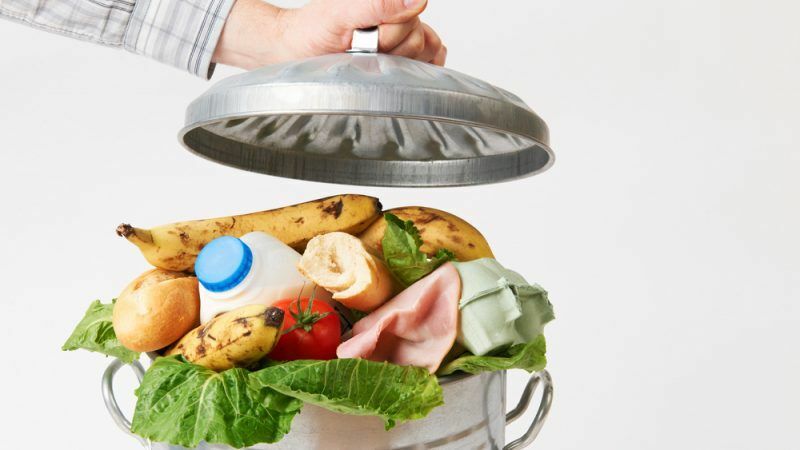 “Yet, managing food waste sustainably could reduce greenhouse gases emissions by up to 518 million tonnes, which is the equivalent of taking all the cars off the road in the European Union”, Newman said. In addition to climate mitigation, food waste management fits into the UN’s Sustainable Development Goals (SDGs) framework, he added. In 2015, as part of the UN’s Sustainable Development Goals (SDGs), all UN member states committed to end hunger, ensure access to clean water and sanitation for all, make cities sustainable (including by paying special attention to municipal and other waste management”) and take urgent action to combat climate change. There is an SDG to reduce food waste generation per capita by 50% at the retail and consumer level by 2030. To achieve this commitment, action must be taken in all cities and nations. “Without the sustainable management of food waste, these commitments cannot be met – so it is clearly essential to take action on this front,” David Newman said. “Our report is a call to policymakers around the world to recognise the potential of food waste management via anaerobic digestion, but also to let them know how to implement it,” Newman continued, adding that the report is about pulling together all the facts we know into one document. “Sometimes, it is just about implementing the right legal framework,” he stressed, adding that “certainly, the EU has shown awareness in that matter, with its circular economy package and its new fertiliser regulation which allows organic fertiliser. This is thanks to the European Commission, who was the driving force”. But globally, cities are at the forefront of the food waste challenge, he pointed out. “Food management is an issue for urban local governments because of a context which sees urban population growing around the world, foremost in developing countries”, he observed. It is estimated that, as a result of continued urbanisation, more than 70% of the world population will live in cities by 2050, he pointed out. “So there is a particularly pressing need to improve the management of food waste in towns and cities around the world”, he said. He stressed that current efforts on food systems focused mainly on production rather than consumption. “But as urbanisation increases, so too will the main source of consumption — cities, and particularly, megacities — and the urgent need for a more comprehensive approach”, he added. Newman underlined the numerous challenges cities around the world are facing when it comes to food management: enhancing food security; enabling local and low-carbon food production and distribution; advancing food waste management solutions, and developing food systems options that result in carbon reductions and improved health equity. But cities do not necessarily have the knowledge and experience to implement the measures needed, he said. “In fact, the C40 network suggested that we make the report because cities officials are sometimes struggling to understand the issue,” Newman stressed, adding that officials expressed their need for training as well as exchanges and feedbacks with other cities officials. “Really, it is all about implementation at city level. In fact, cities, especially large cities, have more flexibility and larger scope of implementation than countries”, he said.